You know how some days you never feel like you're doing enough? Never knowledgeable enough? Continually falling down bruised, all throughout the race, while dropping behind the pack? I do. I'm a sensitive and emotive person but rarely do I ever exhibit any sort of suffering around anybody other than my husband. Let's just say that in the past two weeks I've had the first-time embarrassment of calling my dad, sobbing. Every day I spend my hour lunch break forsaking yoga and just sleeping it out. I'll dash off during the quiet moments of the day to hide and have a quick, uplifting pep talk with myself that usually, regrettably, ends up with welling tears instead of feeling better. Everyone goes through a period like this some time or another. If life is zooming along at the pace of a high-speed train and you feel as if you're pointlessly chasing after it barefoot with arms outstretched, doing all you can to catch up as it bullets past...you're not alone. I feel you. If you feel the unrelenting urge to suddenly drop everything and quietly slip away to live in a tiny, remote cabin in the Scottish high country with your loved ones and furry companions, live off your vegetable garden and spend your days reading books and baking at the local cafe...I hear you. Alas, that won't happen and I wouldn't want it to. If you've ever been a distant friend, mute co-worker, emotional spouse, dreary employee, or an irritable, worrisome ghost of a person wearing your hair in front of your face so people won't notice you and ask you what's wrong...I hope you know you're not alone. Lift that chin up, put on those rose-colored glasses, and wait for this massive wave of anxiety to tide out. Don't be crushed by change. Bloggers (and people in general) often put on a good face and act like nothing is wrong. That their life is the stuff of dreams and envy and everything is just perfect and they are always sunny and happy as can be! That isn't real life. And it's what drives stigmas. That ain't the way over here at Produce On Parade! Should you desire support, there are a multitude of professionals that are ready and waiting. Find resources here. A big thanks to Whole Foods Market who sent me this excellent vegan, organic red wine. What a perfect pairing for this pasta dish. It's "a delicious Spanish import that is made with 100% certified organic grapes that come from Jumilla, a region near Valencia that is said to be the birthplace of the Monastrell grape.” So if you're looking for a smooth, Spanish wine that's vegan and organic, look no further. No fish bladders here! All of Us: A Campaign to Rethink Mental Health is a program founded by UCLA undergraduate students with the goal of shifting the way people and the public perceive and treat individuals with mental illness, through education and advocacy. 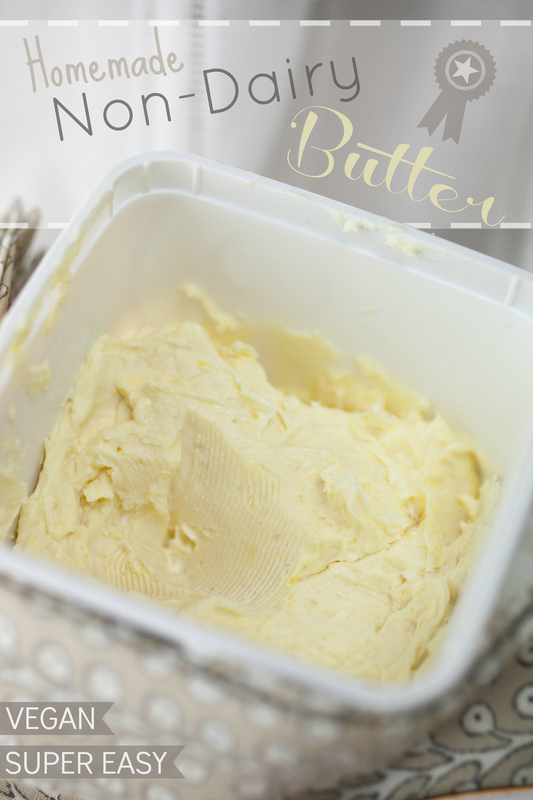 So, I've seen a lot of homemade vegan butter recipes floating, melting, around the web. I figured it was time to hop on that butter churn, or in this case...food processor. Todd and I usually buy Earth Balance, which we love. However, we don't love the palm oil. The collection of palm oil is destroying the habitats of orangutans, rhinos, tigers and elephants. Even "sustainably sourced" palm oil is pretty questionable. 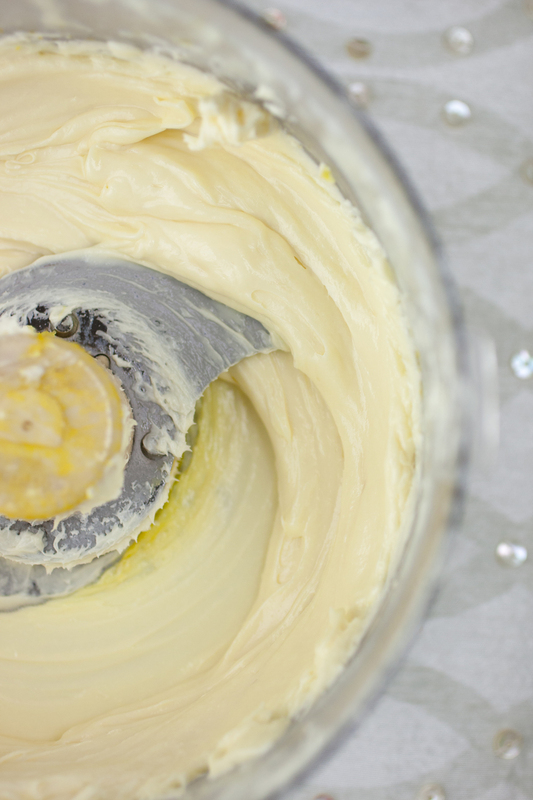 It's in vegan butters as well as that "natural" creamy peanut butter that you don't have to stir. Do I love stirring my natural peanut butter? It's not one of my all-time favorite pastimes, but it does help clear my conscious. Plus, I get a pretty sweet little arm workout for a minute. If you want to learn more about palm oil, it's consequences, and what you can do to avoid it and help (you do), check out this article. I don't want to be a part of that. There are some things we can control, like purchasing palm oil laden things, and some things we can't. If it means I have to stir my damn peanut butter and briefly inspect the ingredients of what food items I purchase (which I already do anyways), then so be it. It's a small inconvenience. 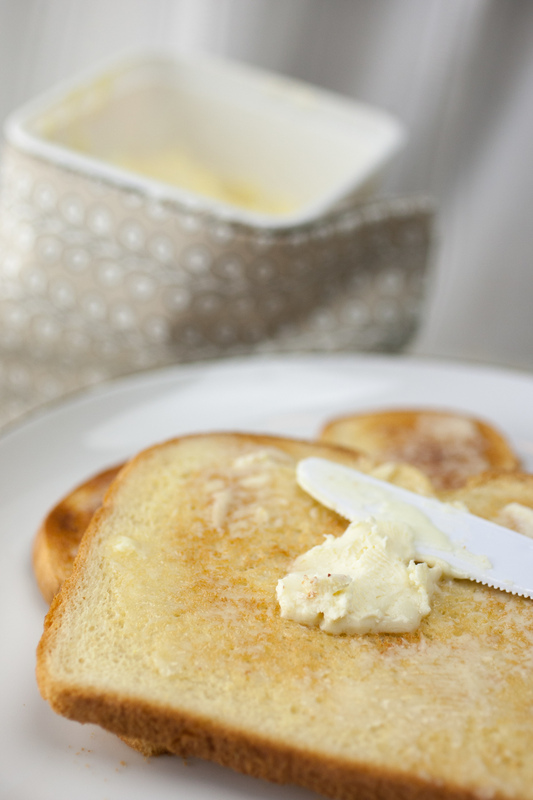 Plus, what's better than creamy homemade butter slathered on fluffy homemade bread...um...nothing, that's what. This vegan butter has the Todd Seal of Approval, and let me tell you...the man knows his butter. It's also super easy. A vegan butter that involves less forest/animal habitat destruction? Yes, please! Creamy, easy and it's super quick to whip up. If the orangutans weren't busy running for their lives, they could do it. --Note--I recommend only using soy milk, as it is noted that some other non-dairy milks may have difficulty curdling. Refined coconut oil imparts absolutely no coconut flavor. Unrefined coconut oil, however, will impart a coconut flavor. Liquid soy lecithin and xanthan gum can be found in the organic or bulk section of most local grocery stores. In a small bowl, whisk together the soy milk, apple cider vinegar and salt. Allow to rest for 10-15 minutes, until it's thickened and curdled. Meanwhile, melt the coconut oil in the microwave at 30 second intervals. 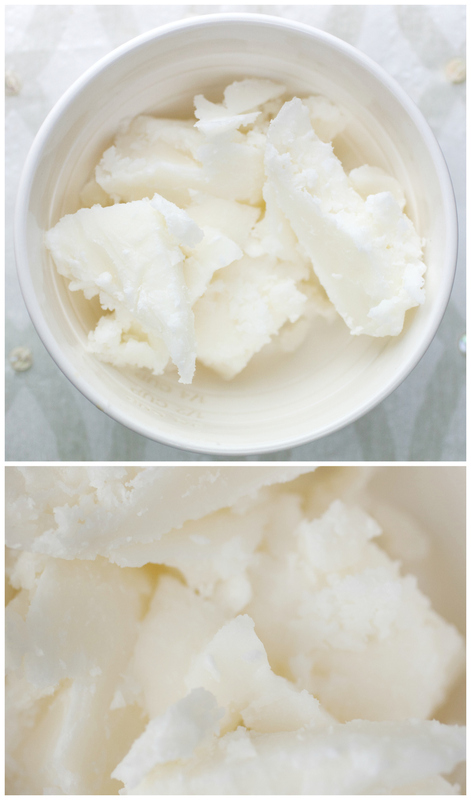 It's acceptable to still be partially un-melted, with bits of solid coconut oil. You don't want it to be hot or warm at all. If it is, allow to cool. Measure it melted, not solid. his recipe is very slightly adapted from the very particular, Vegan Baking.